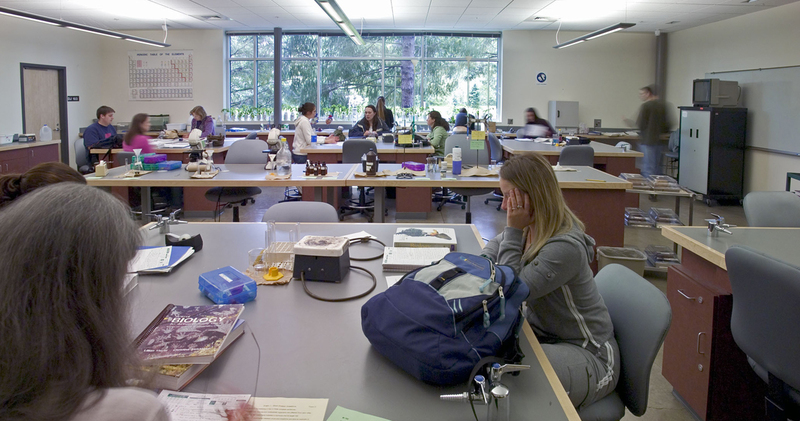 The DeJardin Building houses nursing, EMT and life science classes. 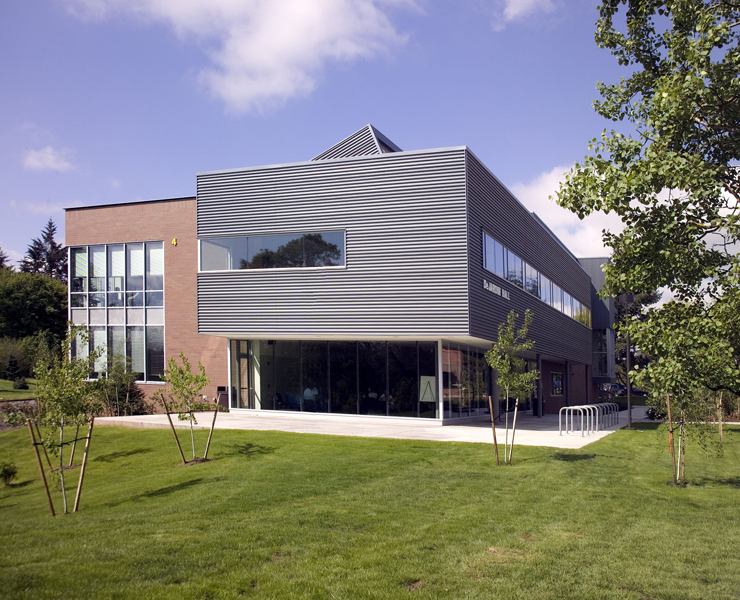 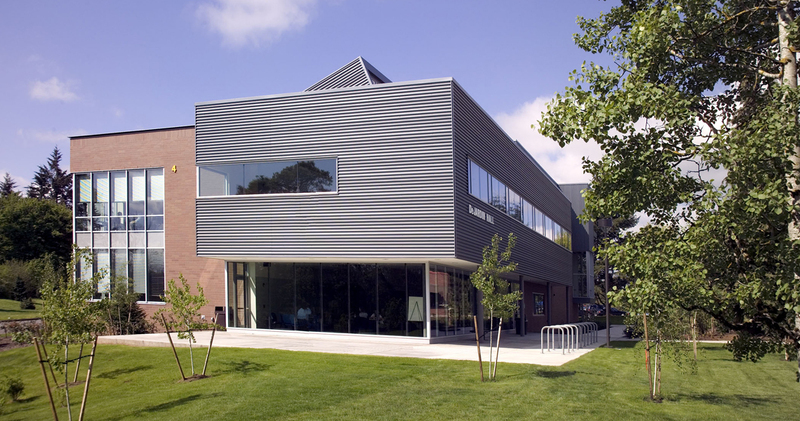 This two-story, 18,700 sf building is designed in the character of the neighboring Pauling Center. 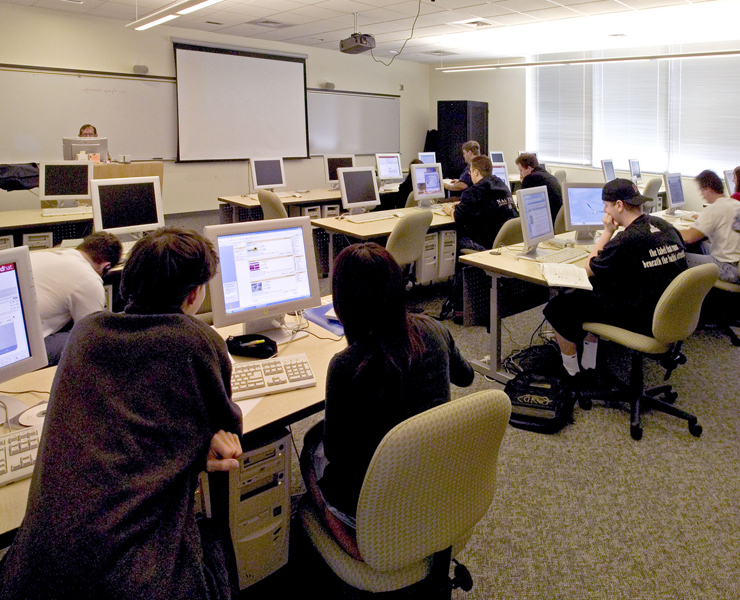 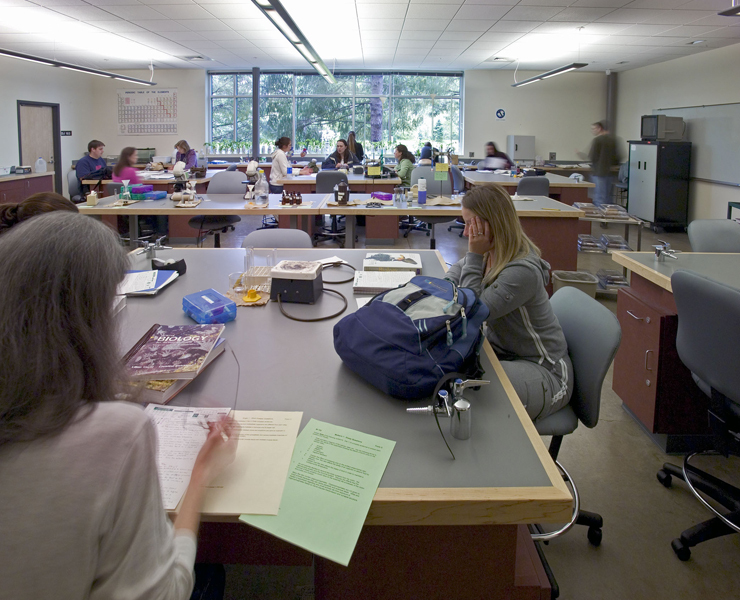 The lower level of the building includes two lab spaces, prep area and a general classroom. 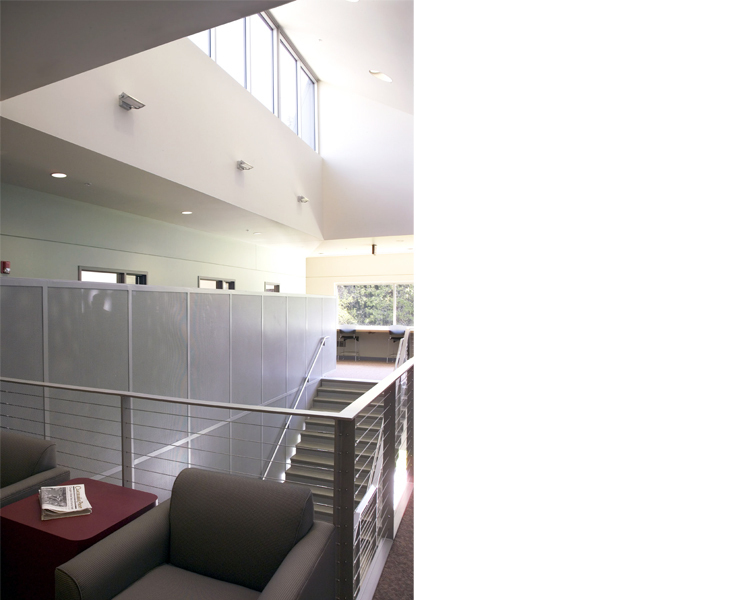 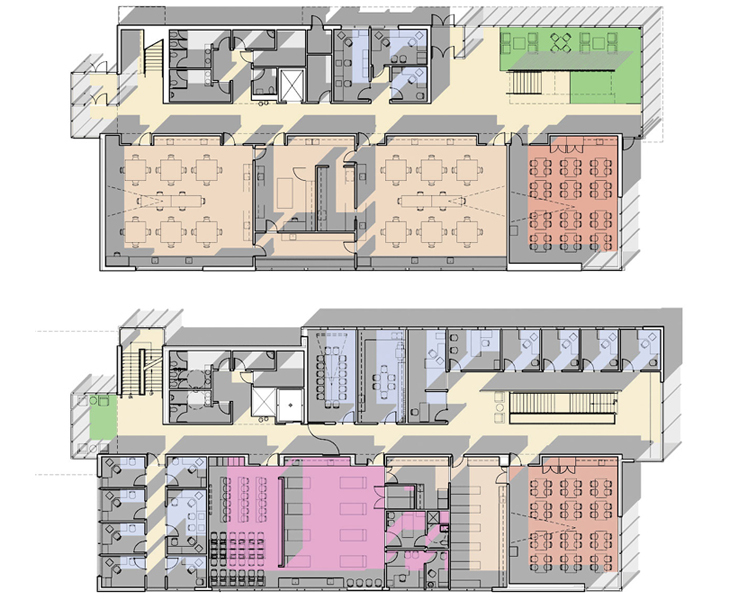 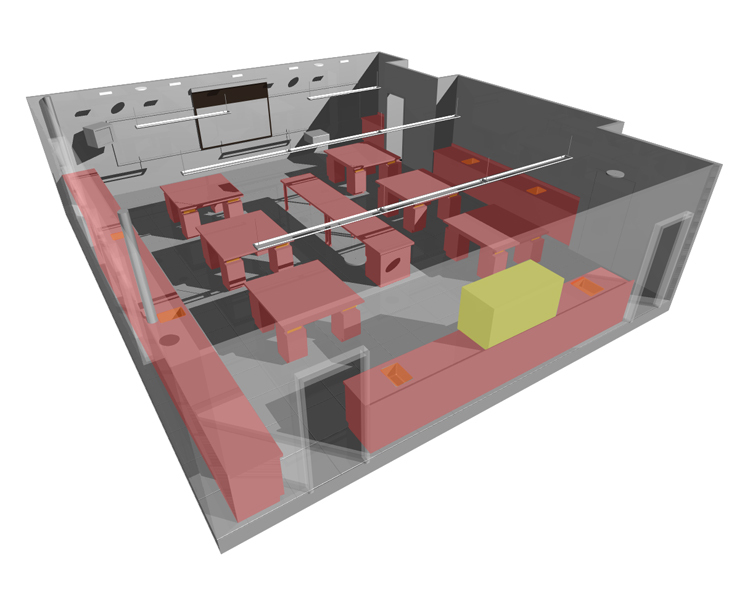 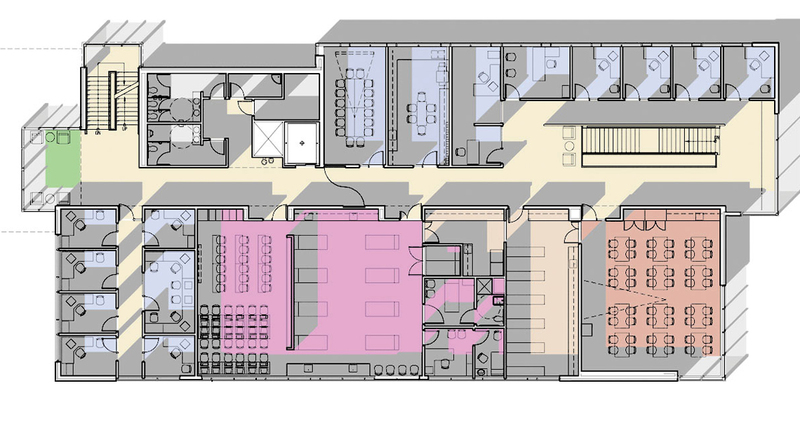 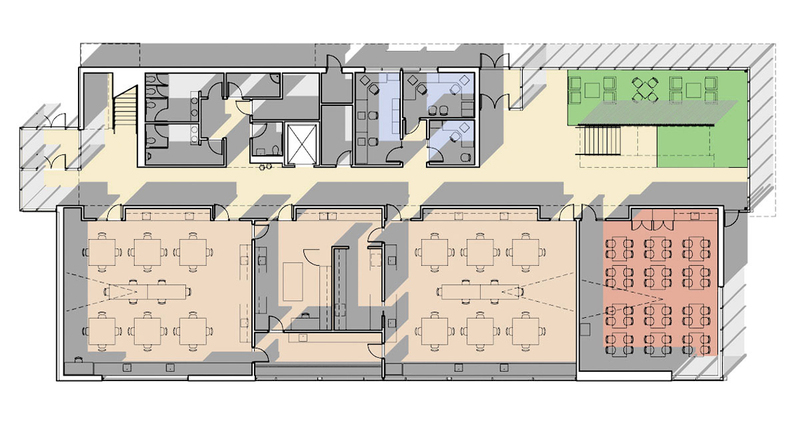 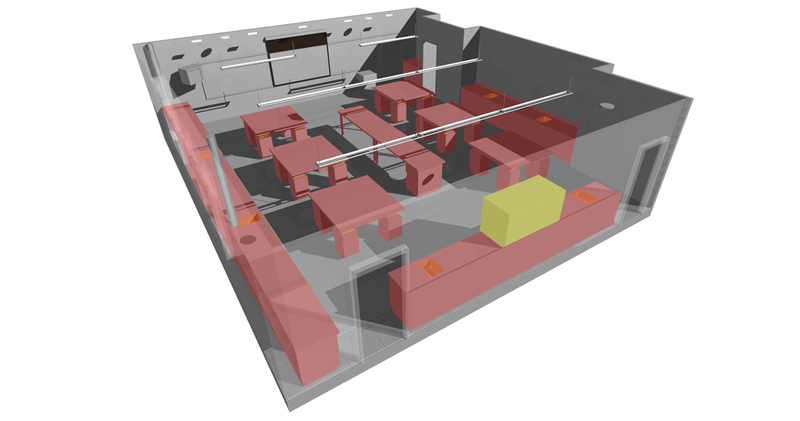 The lab spaces are designed with perimeter utilities to maximize long-term flexibility. 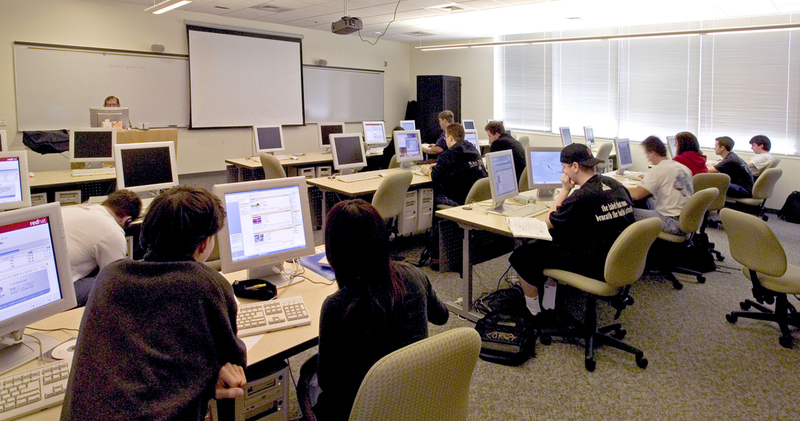 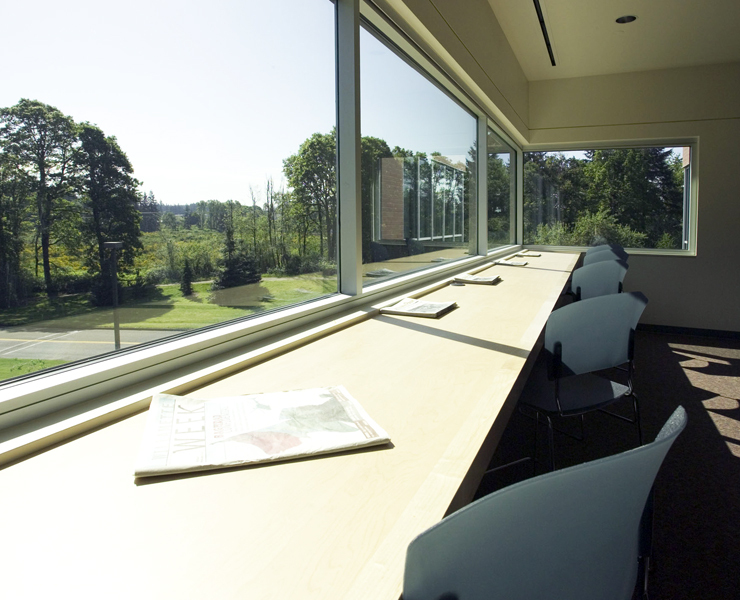 The second floor of the building includes the nursing and EMT classrooms, computer classroom and staff offices. 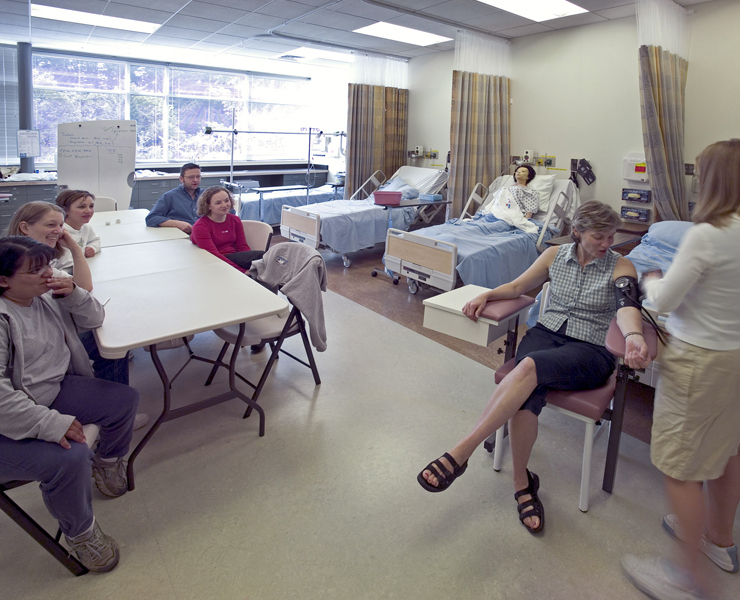 The nursing lab includes a complete hospital mock-up setting including bed stations with full headwalls with utilities and exam rooms. 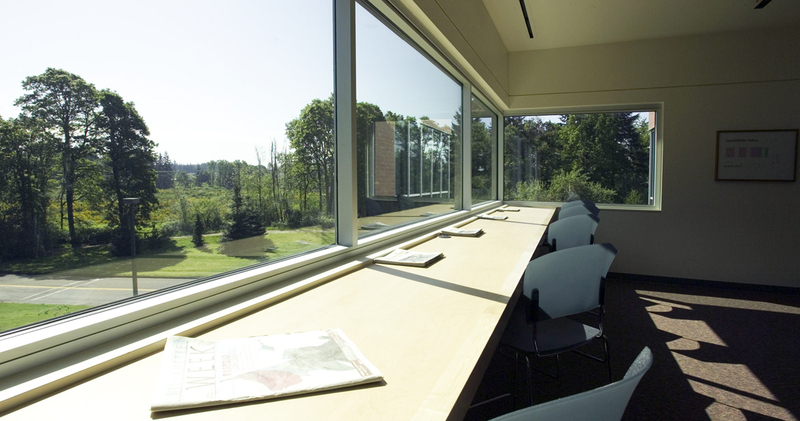 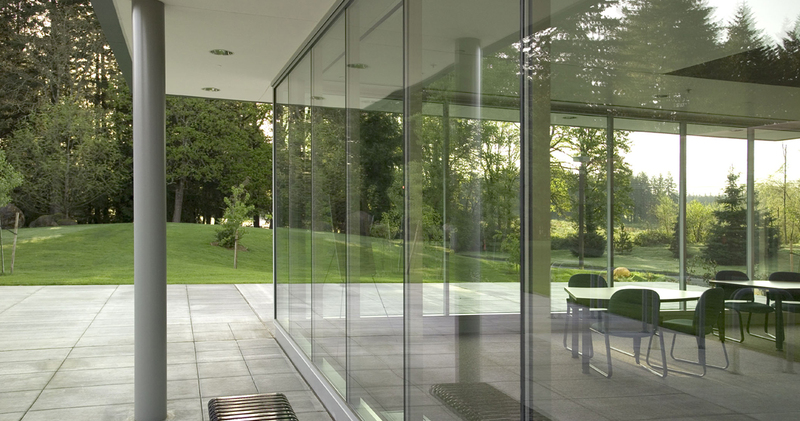 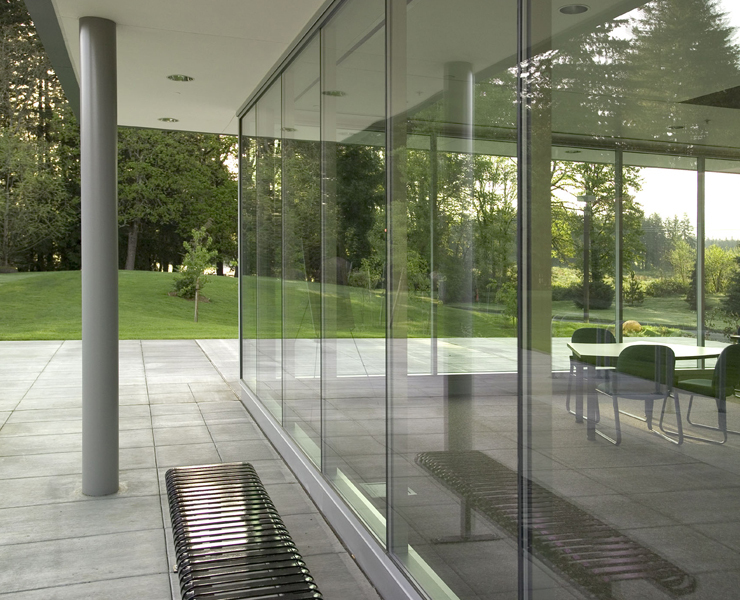 An open ground-floor lounge provides a comfortable setting for informal learning and study with views on three sides into the landscape and sciences complex courtyard. 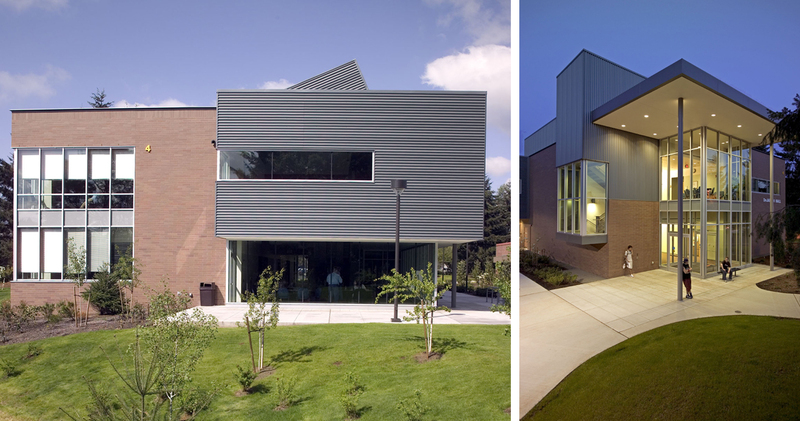 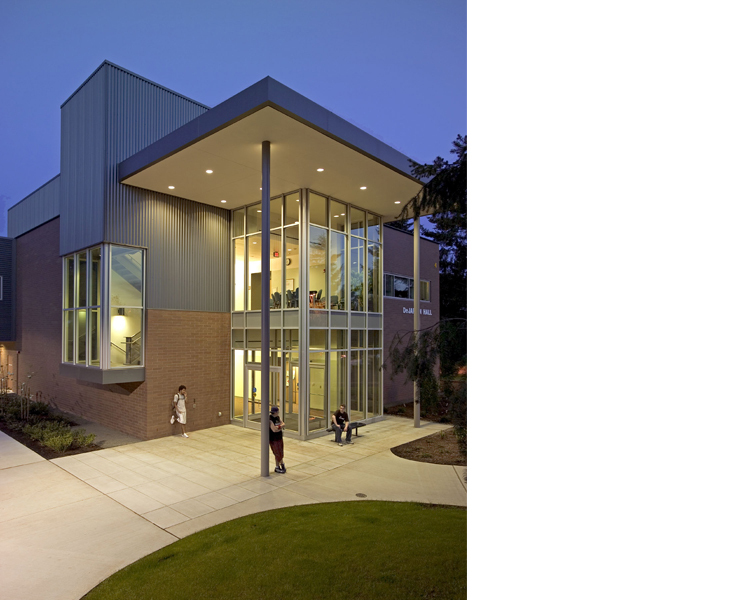 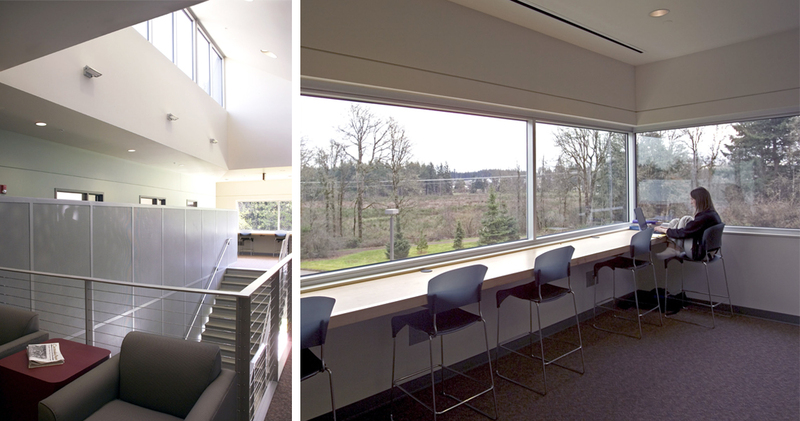 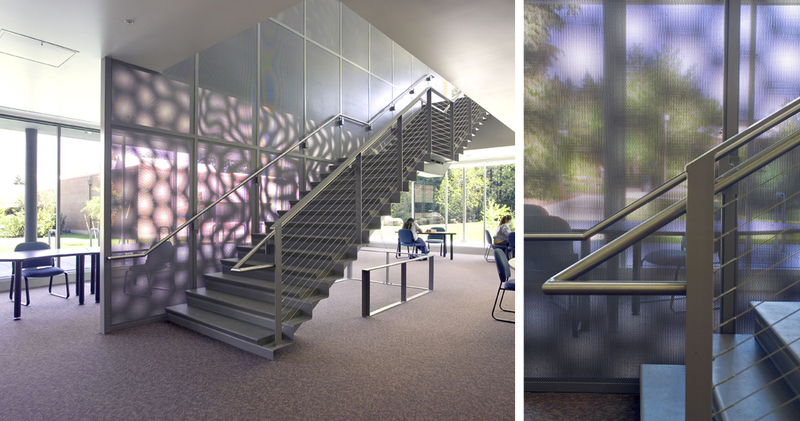 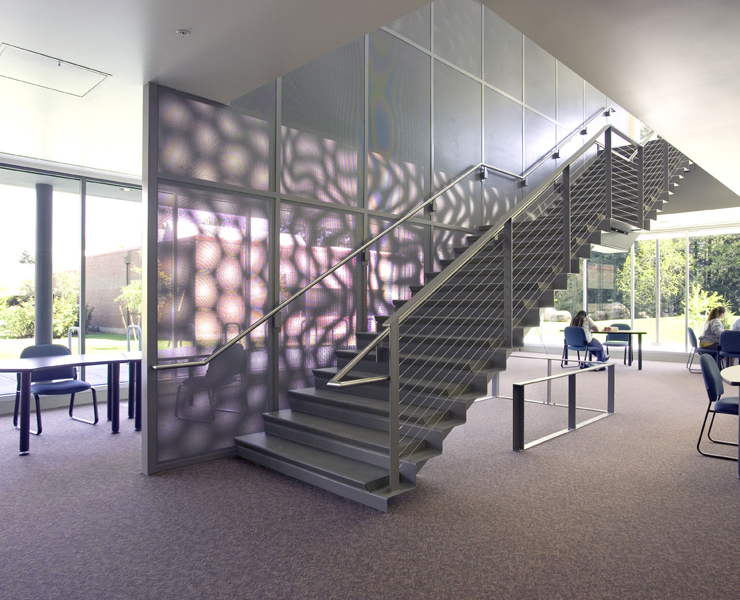 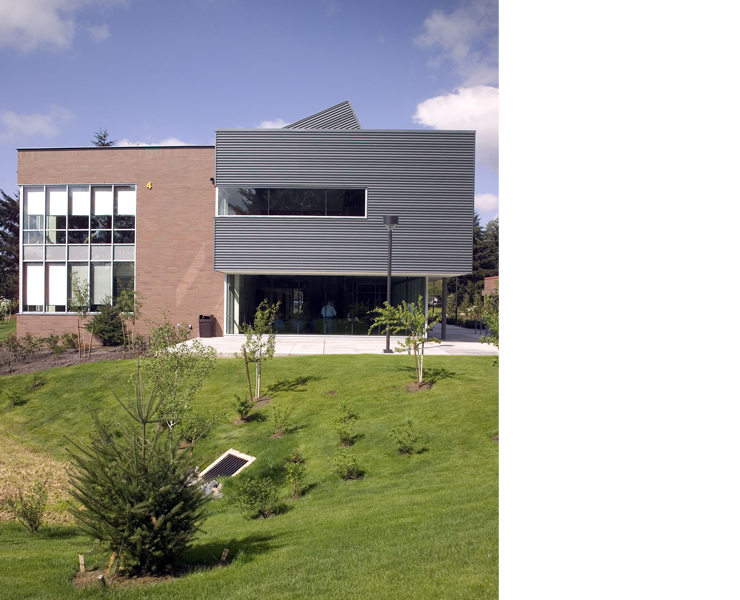 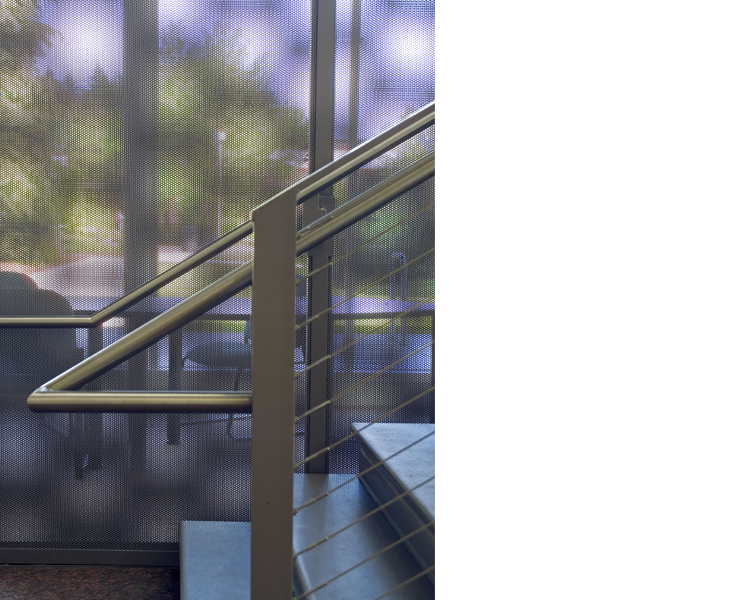 Opsis provided comprehensive design services on this project completed in the Fall of 2003.